I am a Swim, Cycling & Triathlon Coach offering coaching services to a wide range of athletes from complete beginner to experienced Ironman. I work with Team GB age group athletes looking for that next step. All programmes are bespoke to individual needs and include goal setting, training zones, race planning. I coach a small number of athletes forming strong relationships with everyone that I coach and offer a truly personal service. I am also the Team GB Manager for the Middle Distance Team. I began my sporting career as a runner before moving into triathlon, and haven't looked back since. I have competed in races of all distances all over the world including multiple Ironman and 70.3s I also hold age group titles and have raced at both ITU World and ETU European level. I have previously coached and delivered training camps for Team GB Age Group triathletes working towards team selection as well as athletes looking to achieve more varied goals, such as becoming a first time Ironman finisher. I have a natural empathy with Age Group athletes who are trying to balance the demands of our sport with a hectic work lifestyle and with limited amounts of time to train. Getting results is a key Challenge Tri Camp coaching principle so I work very closely with my athletes to prepare for the race. 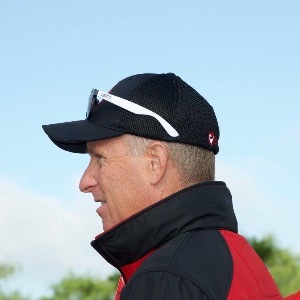 As a qualified coach, and a British Triathlon Team Manager, I draw on lessons learnt and my experiences over two decades in running, multi-sports, cycling and swimming to help guide my athletes to achieving personal Swim, Bike, Run and Triathlon goals. I am a strong believer in communication with my athletes, so I do not limit contact. I look forward to working with you. Success. Coach Brent Perkins has been notified of your message.